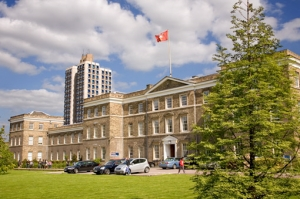 UCML are currently involved in a large-scale development for The University of Leicester. UCML’s scope on this scheme was to procure and manage new connections and diversions in relation to the existing adoptable highway in accordance with the approved planning drawing. UCML met with the statutory bodies to agree a suitable strategy for the existing gas and telecoms works affected by the proposed 278 works. In particular, UCML undertook negotiations with the electricity network operator to determine a suitable strategy for the existing extra high voltage 132,000-volt infrastructure, which could have impacted the necessary works. A temporary solution for the diversions was explored to allow a phased approach. UCML undertook a review of all connection quotations received including regulatory, technical and commercial comparison across all competing proposals, and produced a report including a detailed recommendation with supporting evidence.